It is now about 27 weeks since we opened our storefront at 2 Ocean Avenue in Kennebunkport, ME. I will, once again, say that during this time we have met so many wonderful people and now friends. We are compelled to express our appreciation and sincere thanks!! We value your patronage and appreciate your confidence in us. Most of all we appreciate you coming into the store and continuing to buy from us on-line at www.maine-lydrizzle.com. It brings a smile to our face when people are as excited as we are about our product offerings. We especially enjoy talking to you about ideas on how you use our products. Although summer tourism has passed, we are now seeing the many folks that are taking cruises with a stop in Portland, ME. We had no idea of the magnitude the many shoppers the cruise ships bring. How lucky we are to be part of a vibrant town with great people visiting by the bus load! It's really fun when people come in full of joy (they are on vacation) and share laughter and great stories with us. We appreciate you visiting, and are thrilled when many of you return with family and friends. 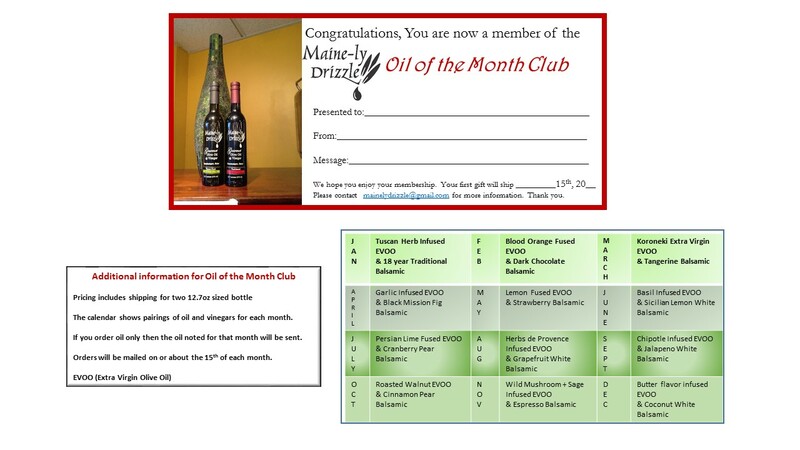 Now you can receive a unique and delicious oil each month without having to do the shopping! We've even created a balsamic pairing that blends beautifully with each oil to create even more spectacular culinary creations. Simply choose the package you want - Oil or Oil & Vinegar - and the time frame - 3 months, 6 months or 12 months - and we will take care of the rest. Want to give the gift that keeps giving all year long? We'll send a certificate with your message to the recipient and ship them a new gift of oil or oil & vinegar each month. Write a review about your Maine-ly Drizzle experience. We'd really appreciate hearing from you. This herbaceous Leccino displays a creamy, malty center. Herbal notes give way to flavors of creamy artichoke and lingering green banana. High fruitness scores with little bitterness and pungency. Displaying extremely grassy aromas with hints of green apple, this early harvest South African Tuscan variety is well balanced. This is a good example of a well-made Frantoio which is difficult to find. Summery and fresh this Extra Virgin Olive Oil is a kitchen’s staple! The Arbequina varietal is originally from Spain and this batch was cultivated in Chile in May. It has an almond and stone fruit flavor on the palette with a lingering pepper. Delicate and quite creamy, this extra virgin is wonderful in any culinary application. A favorite for those that love a creamy oil! Made with fresh Ruby Red Grapefruit citrus fruit, picked at its peak and crushed with fresh, certified organic early harvest Chetoui olives using 100% mechanical cold extraction methods. Use it with poultry or seafood, as well as in dressings and marinades. It and pairs well with Serrano-Honey Vinegar, Cherry Dark Balsamic, Strawberry Dark Balsamic, Blueberry Dark Balsamic, and Sicilian Lemon White Balsamic. click here for additional product information including a couple of great recipes!! Made in Vermont with Balsamic Vinegar & Fresh Garlic, No Salt Added. Imported balsamic vinegar and fresh garlic are the secrets to the distinctive flavor of Fox More Than a Mustard. Made of 100% natural ingredients that combine sweet and spicy flavors, our mustard sauce is a fabulous marinade, glaze or condiment for meat, poultry or fish. It's also perfect for sandwiches. click here for additional information including a glazed chicken recipe. Our Traditional Style Balsamic contains less than 5% high quality, barrel aged red wine vinegar from Modena which is added to inoculate the must with pro-biotic (acetic bacteria). The rest of the volume is wholly comprised of cooked Trebbiano grape must. The must is made from grapes cultivated in the region of Modena, which are crushed and cooked in the ancient “Traditional Style” in copper kettles, within the region of Modena, Italy. Cooking in copper kettles to caramelize the grape sugar is more than just a quaint or romantic production step. Cooking down the grape must in copper is a rare production step which makes a monumental difference in terms of the quality and authenticity of the end product. Today most producers in Italy have opted for the vastly more efficient and modern method of condensing grape juice into a concentrate utilizing the relatively new process of vacuum evaporation. The use of this technology also typically necessitates the addition of up to 2% caramel color/dye to be added to the otherwise pale, anemic white grape must in order to add a deep, rich, mahogany-brown color. This practice was recently sanctioned by Italian law to allow producers to give the end consumer a false impression that the grape must was in fact cooked and caramelized in the "Traditional Style" in copper kettles. To continue reading the article click here. Everything you wanted to know, but were afraid to ask. Maine-ly Facts. 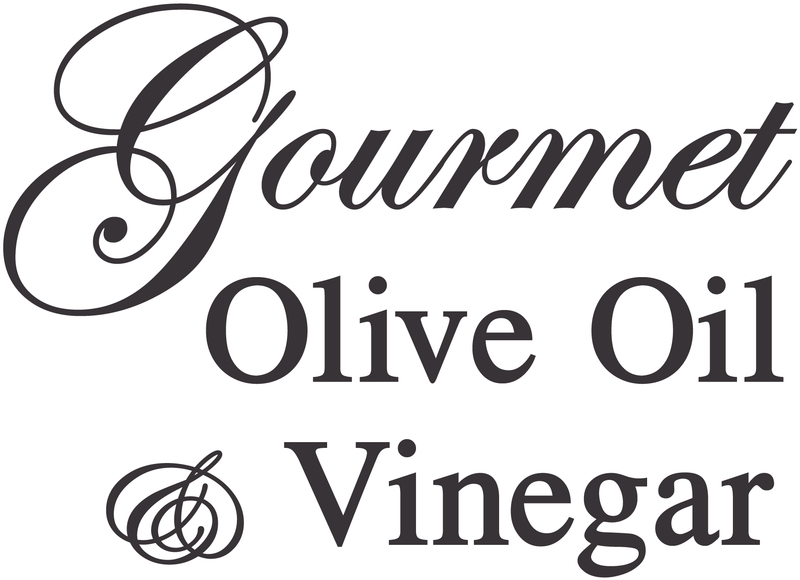 • In order to produce one quart (32 ounces) of Extra Virgin Olive Oil, 11 pounds of olives need to be pressed. • Extra Virgin Olive Oil (EVOO) comes from the first pressing of the olives with no chemicals used in the extraction process. This is why EVOO has such a fresh clean taste. • On average, an olive tree can live between 300 and 600 years but there are olive trees that have been proven to be over 2000 years old. • The olive is a fruit, not a vegetable. Therefore, olive oil is actually a fruit juice just like orange or lemon juice. • All olives start out green but can turn purple, dark brown, black, and even pink color as they ripen. • When the olives are green, they are very flavorful however, they don't produce an abundance of oil. As the olive ripens and darkens in color the flavor loses intensity but more oil is able to be produced. • Baked goods will last longer when you substitute olive oil for butter. It is the vitamin E and polyphenols that causes this longer shelf life. • The annual consumption of olive oil in the United States increased from 30 million gallons to nearly 70 million gallons a year in the last two decades. • The flags of seven nations, four U.S. states, and the United Nations themselves all feature an olive branch. • How you store it matters. Quality olive oil comes in a bottle made from dark green glass or another material that protects it from light, says Dr. John La Puma, founder of ChefMD.com. • Heat and light can damage the oil by creating oxidation, which changes the beneficial chemical compounds. Store your olive oil in a room-temperature cupboard. Please like us on Facebook, you will receive up-to-date news and fun facts. link . We are Now on yelp, thank you to the customer that wrote a really nice review! !, we appreciate it. 8 cups washed and dried greens coarsely chopped in any combination such as: kale, beet greens, collards, spinach, swiss chard etc. Brush a 9"x13" baking pan liberally with olive oil. In a large saute pan over medium high heat, add 1 tablespoon of garlic olive oil. Add the diced onion and saute until translucent. Add the greens and saute until cooked down, about 3 additional minutes. Add the feta and ricotta to the greens and mix thoroughly. Add 1 teaspoon cornstarch to 2 tablespoons of water and add to the greens. Continue cooking over medium high heat until the mixture thickens and season with salt and fresh ground pepper to taste. Allow the mixture to cool until just barely warm. Take the thawed phyllo out of the refrigerator. Unroll the sheets and cover with a clean barely dampened towel. Liberally brush three sheets or spray three sheets with garlic infused olive oil and layer one on top of another, lining the bottom and part way up the sides of the baking pan. Add 1/3 of the spinach mixture and spread evenly over the phyllo. 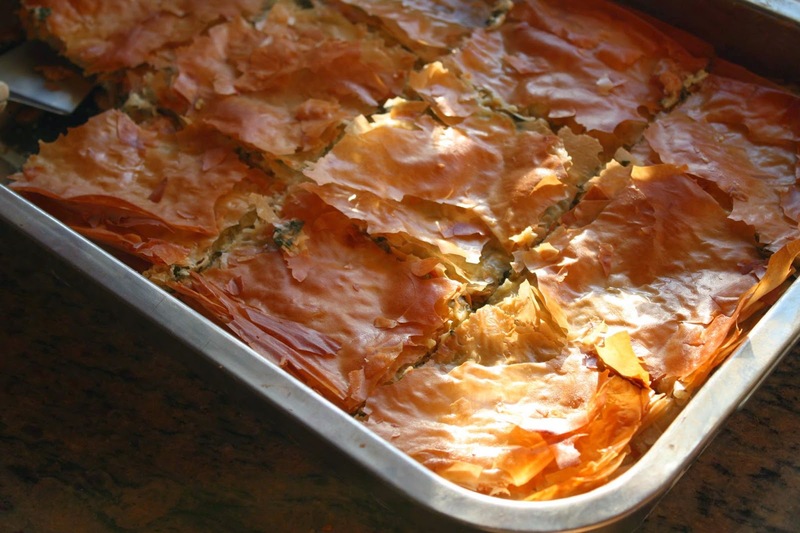 Continue brushing each sheet with olive oil and layering three sheets at a time followed by two more layers of spinach and ending with three sheets of phyllo on top. Bake for 35-40 minutes until the top is deep golden brown and crisp. Allow to cool slightly and cut into squares. Thanks again for your trust in us. Please let us know if there is information/content that you would like to see in our next addition of the newsletter. Take a look at the gift ideas that we have added to the website. Christmas Baskets are coming to our website soon. We also added wedding and shower favors that are very elegant; we will customize for your special day..